The Bronx River Arts Center (BRAC) is pleased to announce two film screenings in conjunction with the Shifting Communities exhibition series. Please join us at 7:30pm on Tuesday, December 13th for "Migration: The Puerto Rican Experience" produced by Bronxnet and on Thursday, December 15th for "From Mambo to Hip Hop" directed by Henry Chalfant. Organized by gallery artists Hatuey Ramos-Fermin and Elizabeth Hamby, these films take a look at the influence of music and migration in the South Bronx from past to present. The Bronxnet documentary “Migration: The Puerto Rican Experience” is the first show of the four-part series to take a closer look into the origins and success stories of the Puerto Rican community in the Bronx. 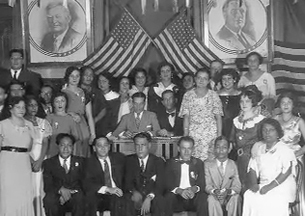 From the first arrival of the Pioneros through present-day elected public office holders, Puerto Ricans have played a prominent role in the development of the Bronx community. The documentary features New York City’s renowned historians and experts; Dr. Clara Rodriguez, Professor of Sociology at Fordham University, Lloyd Ultan, Borough Historian of the Bronx and Brian Andersson, Commissioner of the NYC Department of Records. For a preview of the film, please click HERE. The documentary "From Mambo to Hip Hop" directed by Henry Chalfant explores the powerful sub-cultures of the South Bronx which gave rise to both Mambo and Hip Hop. 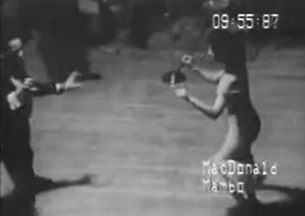 This film presents a panoramic view of the music that blossomed in the Latino community of the South Bronx from the late 1940's, when Mambo burst onto the New York cultural scene, through the birth of Hip Hop in the 1970's. Exploring how music helped create and sustain community, the film chronicles two generations who grew up literally on the same streets and both used rhythm as their form of rebellion. For the older generation, it was the pulsating rhythms of Cuba and, for their children, it was the rhythms of Hip Hop. For more about the film and director Henry Chalfant, click HERE.